We have years of experience in pioneering research collaborations with industry, business and the public sector. Read the latest on our successful partnerships in Australia and overseas. This initiative, led by Professor Mark Wiggins, examines the role of cues in the development of diagnostic skills among power system controllers in the energy sector. With the reliance on fewer staff in high-technology environments, accurate diagnosis is an essential skill to ensure efficient performance and avoid accidents and the loss of life. We have a comprehensive understanding of the development of diagnostic expertise that will inform selection, interface design, training interventions, accident investigation and performance assessment across a range of high-technology control systems. 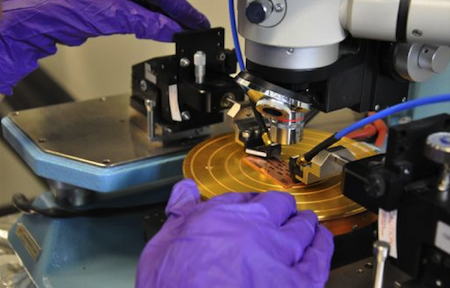 For more than ten years, Macquarie’s Professor Mike Heimlich and M/A-COM Technologies have partnered to develop high-performance electronics for wireless systems. We are recognised around the world as a leader in modelling, characterisation and measurement systems while M/A-COM Technologies has created groundbreaking products that redefine state of the art in telecommunications. Macquarie researchers, led by Professor Mick Withford, Sydney Water and other water corporations are developing a photonic sensor capability to measure chemical compounds that cause concrete corrosion in wastewater pipes. Unlike current qualitative methods that rely on often dangerous visual inspection of pipes to identify concrete corrosion, the project will develop a quantitative sensing system that directly measures key chemicals, targeting the cause and not the effect. This research is expected to extend the life of wastewater networks and reduce the cost to the public, and it has the potential to be extended to other key infrastructure. Macquarie is a leader in SITPlus, an initiative led by Horticulture Innovation Australia in partnership with a host of other organisations to safeguard the horticulture industry. 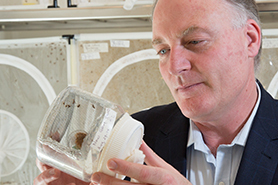 Our researchers, led by Professor Phil Taylor, are working on an integrated pest management solution to eradicate the major horticultural pest Queensland fruit fly (Qfly) by facilitating the production of sterile male fruit flies. " Besides being New South Wales’ largest aquaculture industry, oysters are instrumental in forming estuarine ecosystems, such as that in the Sydney Harbour and the Hawkesbury River. We are working with the Australian oyster industry on this project. 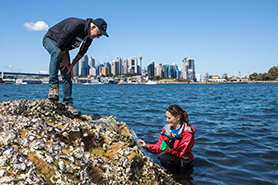 Macquarie's team, led by Professor David Raftos, discovered a set of genes in oysters that allows them to survive disease and tolerate environmental changes.